Step Right Up, Fam, Friends and Supporters- You are invited to a work-in-progress screening of my coming doc film- JIG SHOW | Leon Claxton's Harlem in Havana - Durham, NC - Tuesday, April 4th @ 7:00pm at Beyu Caffe. The Southern Documentary Fund presents Docs For Us / By Us: a new 3-part series in partnership with Beyu Caffe, Black documentary filmmakers from Durham present works-in-progress, reaching out for community support, resources and ideas as their stories take shape. 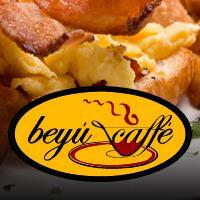 This series takes place monthly on Tuesday evenings, 7:00 PM at Beyu Caffe, 341 W. Main St, Durham. Part of Beyu Caffe’s #BeConnected program. Learn more now.